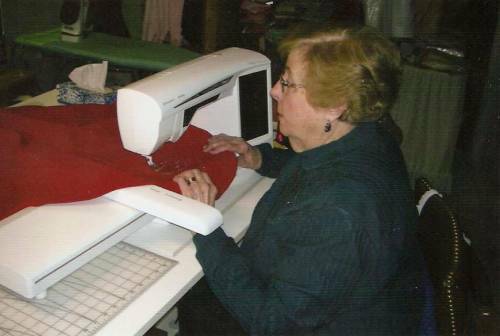 One of our church members, Annabelle Rominger, has been making prayer blankets since 2009. 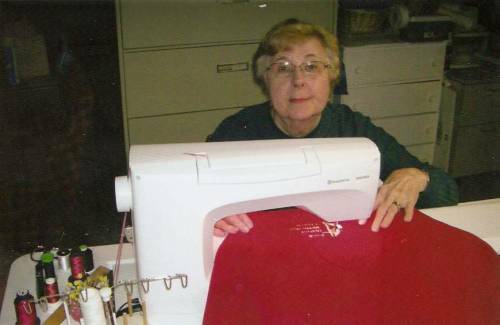 The blankets are custom-made, with an embroidered logo of the Paoli United Methodist Church. When a member is in need, ill at home, in the hospital or in a nursing home, the blanket is placed in the foyer of the church where members may pray over it. The pastor then delivers the blanket. 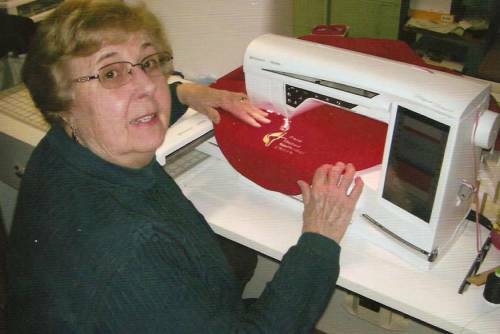 Annabelle uses a Husqvarna Viking computer embroidery machine to create the cross and flame logo of the United Methodist Church and then the name of our church. She makes the prayer blankets in many colors, and by the end of 2014 she had made over 260!